How To Register A Domain Name And Get Traffic Right Away! Your blog needs to be found under a domain name. Just find an available domain with a suitable name. BlueHost has an offer where you get the domain name for free when you book a hosting account. The long, more interesting version, with a reward in the end! In the early days of the internet, it was not even called “the internet”. It was a research project under the name “Arpanet”. In 1969 the number of computers were four. Yes, four, as in more than three but less than five. In those days, there were no need for domain names. As the number of computers grew though, a system of maintaining a list of them in a text file was used. The file was called hosts.txt and contained a simple list of what name each number represented. This little file is still used in all Unix-based systems for a couple of reserved addresses. If you use a Mac you can find it if you know how to find hidden system files. As the number of computers on the network increased it became obvious that a better system was needed. In 1983 a gentleman by the name Paul Mockapetris invented a new system known as the DNS (Domain Name System). We still use the DNS today for managing the connections between numbers and names, even though the number of computers are so many more now. DNS has proven to be a very robust and scalable system. Well done, Paul! He is now a member of the “Internet Hall Of Fame”. At the core of the Internet is the IP-address. It is an address made up of 4 numbers separated with a dot. Each number can be between 0 and 255 so an IP-adress can theoratically be between 0.0.0.0 and 255.255.255.255. Some numbers are reserved for special purposes, but most of them are used for computers like yours and mine. Not all computers are equal though, some are servers and some are clients. A server of some kind, for example a web server, need to always have the same IP-address to always be reachable. This is called a “static IP”. But the majority of computers connected to the internet are not servers, they are just regular client computers or phones or some other device. They only need a “dynamic IP-address” that may change the next time you turn it on. Dynamic IP-addresses are usually borrowed from your internet provider automatically. Your address may also be borrowed from a local router at work or at home. Either way, your IP-address is dynamic and may be something else the next time you connect, and it does not matter. Wifi on a boat can cause problems. Most of the time, that is. Some time ago a client of mine called and said she was repeatedly being thrown out from her webmail on the phone. I asked her where she was and she said she was on a small cruise ship in the Stockholm archipelago. Did the ship have wifi? She said yes, she had just connected to it. As it turned out, the phone was switching between mobile data and wifi as the boat moved. When the network changed, so did the IP-address. The mail server did not like that and ended her sessions. We turned off the wifi connection and everything was back to normal. But the blog is on a server, so we will need a static IP-address. Or at least a “static name”. (The IP-address on a webhosting account can actually change, but let’s not make this harder than it needs to be). When you let people know about your blog, you will not use a complicated IP-address that nobody can remember. You will use a domain name, something that is easy to remember and preferably is the name of your blog. At least it should contain one of your major keywords. Basically the DNS system is a “distributed database”. If all of the worlds domain names had to be stored in one place, it would be an undesirable single point of failure. Instead, the system is built from the top down so if you type a .com domain that your nearest DNS-server does not know about, it will ask the next server, and then the next server until it finds the answer. At the top of the chain is a “root server”, but since all information is cached downline, not all request has to go that far up. All domain info has a “TTL” meaning Time To Live, usually 24 hours. When the information expires, the request goes further upstream. This is why changes in the domain system may take some time to reach all DNS-servers. The word “propagate” may be used. If a support person says “It may take some time to propagate” he or she is not from another planet, it is just the way some people talk. In the early days of the internet the world was considered to be within the borders of the United States. So instead of country codes, a group of top level domains based on category were used. The most common is .com for commercial, followed by .net for networks, .gov for govermentals, .edu for educational and .org for organizations. All those TLD-s are still in use, but mostly in the US. Other contries mainly use their country domain and not the category TLD-s. So what TLD should I choose? If you target the US you should definetely look for a .com-address. If you for example live in Canada and without knowing this have registered an address ending in .ca, you will find it very hard to rank in the US version of Google. This is simply because Google will think that if you live in Canada you want to reach readers in your own nation. If your plans include reaching the US market, only consider a .com-address. What about .net, .biz, .info etc? They will not have the geographical limit of country domains, but I still use them as a second option. If it is very hard to find the .com-name you want (and it can be!) you can go for one of those domains instead. Just beware that they do not carry the same dignity as a .com-address. You probably have ended up in a .biz-adress sometime and thought the same. Your domain name will also show up in the search result listing so it is better if it looks good. In the beginning of this article, I told the impatient where to go to find an available domain name. But for you, since you have stayed with me this far, I will show you a technique that may save you months of waiting for traffic. The impatient is the rabbit, you are the turtle. You will win. When a brand new domain name is registered, it is completely new (duh) and there is no history connected to it. But one of the most important factors for doing well in Googles results is to have links coming in to your blog. Incoming links are “votes” for your site and you will want to have good ones pointing at your content. But please note the word ‘good’ there. You do not want just any links, you want them from good sites with a content relevant to yours. There was a time when any link would do, but that is not so anymore. In fact, links from bad sites can harm you and Google actually has a method for you to tell it to ignore the bad links. It is called “disavowing” but needs to be done with utmost care. It is beyond the scope of this article to explain it in detail, just impress your friends at your next party by telling them you have asked Google to ‘disavow your incoming links’. You will become the guru of the evening. Or the lonely guy in the corner. I’d say it’s about 50/50 on that one. For a new domain, you will have to actively ask, beg or threat to get good incoming links. Please use the first two only. There will be an organic growth of incoming links, but that takes time. * Contact the site you want a link from. Expect a low response rate. * Check for broken links on sites you want a link from and tell the owner to fix it by linking to you instead. “Check My Links” is a plug-in for Chrome that is handy for this. Nobody wants broken links on their site so they might appreciate your message. The method I like the best is to evaluate and buy expired domains. There are thousands of domains that expire for different reasons. The owner may have lost interest, forgot about it or moved on to greener pastures, who knows. The domain goes through a release procedure and finally ends up in the open market for you to buy at the regular fee of about $10. First, I go to expireddomains.net and search for expired .com-domains with my keyword. I also set to dictionary english to get real words, no adult and at least 10 c-nets under the other tabs. If I find something I like, the first thing I check is whoami.com. This will tell you if the domain is actually available. Move on to next domain name if it has already been registered. Then I check the anchors. Why? Many expired domains have been used by spammers and you do NOT want to start with bad links to your blog! The anchors will tell you what word was linked and that may be the first red flag. Then it is time to check what was on the site when it was in operation. You do this by typing the domain name into “Way Back Machine“, an archive of what sites looked like historically. If it looks ok, check the content of the site and how it relates to the subject of your upcoming blog. Next step is to check the value of the incoming links. The referring sites value determine the value of the backlinks. It is very important to find out if they are good or bad. You must also make sure they do not all come from the same domain! Thousands of backlinks may look impressive, but not if all of them come from the same site. I used a setting in expireddomains.net earlier to make sure the incoming domains are on at least 10 different C-nets. That is a way to reduce the risk of a PBN, a Private Blog Network. A private network of blogs? A PBN is a small network of blogs built to create their own backlinks, but you do not want to buy a domain name depending on a PBN. They will go away when the owner discovers he is linking to somebody else. Or when he for any other reason decides to cancel his PBN. If you are in the market for blog already up and running, also check to make sure it does not rely on a PBN. Pumping up the traffic to a site for sale is basically a scam aimed at buyers who do not have this knowledge. Now you are not one of them. What about an offer including the PBN? That’s more honest by the seller, but I would still hesitate. A site based on good quality and no tricks will last longer. You may think a PBN sounds like a good idea? I don’t. I like to keep everything “white hat” and by Google Webmasters guidelines to make my blog last for a long time. PBN is a practice Google may detect and I do not want any reason to have my site deindexed. There are some free tools for this, but I prefer a paid service, SEMrush. I use their backlink service a lot, but there are lots of other functions that comes in handy for any website owner. Building a blog like we do it is very cheap, you basically only invest in the domain, the hosting and your own time. There should be room in your budget for at least a few months with SEMrush. 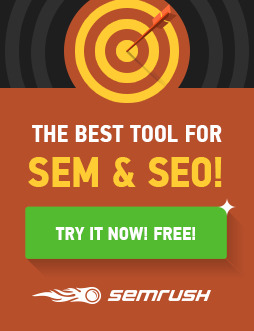 The keyword research alone at SEMrush can save you the cost of the software many times over. When you plan a new article, make sure to check the keyword research first. Pick a keyword that is not too competetive and then write an article inspired by the best results for that keyword. Picking the right keywords can make or break your project. I use the word “inspired” because you must never ever copy the text from your competitor! You can not even copy the text and run it through a “spinner”. Many software publishers will tell you so but I do not believe them. Google has invested massive amounts in hyper advanced text analysis and a software for $99 will not beat them! There is only one way to be unique and readable, and that is to manually type and edit your content. Check your text at copyscape.com for duplicates. Especially if you have been a bit lazy and hired a writer on fiverr.com or somewhere else. If you get a bad egg, they may have just copied the text somewhere. That is an absolute nono, your text must be unique, period. Is the use of an expired domain name really “white hat”? It should be perfectly alright if you stay on subject. You are presenting a valuable and relevant content (right?) instead of a broken link to an expired domain name. You are one of the good guys, improving the user experience. Obviously the practice of using expired domain names to present a content the user did not ask for is just as black hat as cloaking. I think we may very well see a stricter algo for backlinks that change and go off-subject. At least I hope so. Stay on subject and present good relevant content and you will be fine. When you have found the expired domain you want, you can get it for free when signing up for a hosting account at BlueHost. You will soon need an account anyway so why not save $10 on the domain registration? Click here to register your domain name and have your account ready for the next steps in this course. Thank you for liking our blog. We use the theme “Drizzle Mag”. Excellent blog you have here but I was wanting to know if you knew of any message boards that cover the same topics talked about here? I’d really love to be a part of online community where I can get feedback from other knowledgeable people that share the same interest. If you have any suggestions, please let me know. Bless you! Hi there, I do believe your site may be having browser compatibility problems. When I look at your web site in Safari, it looks fine however, if opening in IE, it’s got some overlapping issues. I merely wanted to provide you with a quick heads up! Apart from that, fantastic blog! Greetings from Colorado! I’m bored at work so I decided to check out your website on my iphone during lunch break. I really like the information you present here and can’t wait to take a look when I get home. I’m surprised at how quick your blog loaded on my phone .. I’m not even using WIFI, just 3G .. Anyways, wonderful site! May I simply just say what a comfort to uncover someone that actually understands what they are discussing on the internet. You definitely understand how to bring a problem to light and make it important. More and more people need to read this and understand this side of the story. It’s surprising you are not more popular because you surely have the gift. First off I want to say wonderful blog! I had a quick question which I’d like to ask if you don’t mind. I was curious to know how you center yourself and clear your mind prior to writing. I have had a tough time clearing my mind in getting my thoughts out. I do take pleasure in writing but it just seems like the first 10 to 15 minutes are lost just trying to figure out how to begin. Any suggestions or tips? Thanks! I am sure this is different for everybody, for me I take time and think about the content and just take notes for a while. The notes will then be the skeleton to the content and then the rest will be easier to add. Keeping a good outline first will improve the line of thought in the article and make it easier to read. Hi! I could have sworn I’ve been to this blog before but after browsing through many of the articles I realized it’s new to me. Anyways, I’m definitely happy I stumbled upon it and I’ll be book-marking it and checking back frequently! Fantastic goods from you, man. I have understand your stuff previous to and you are just extremely great. I actually like what you have acquired here, certainly like what you are stating and the way in which you say it. You make it enjoyable and you still take care of to keep it wise. I can not wait to read much more from you. This is really a terrific website. wonderful publish, very informative. I wonder why the other experts of this sector do not notice this. You should proceed your writing. I am confident, you have a huge readers’ base already!